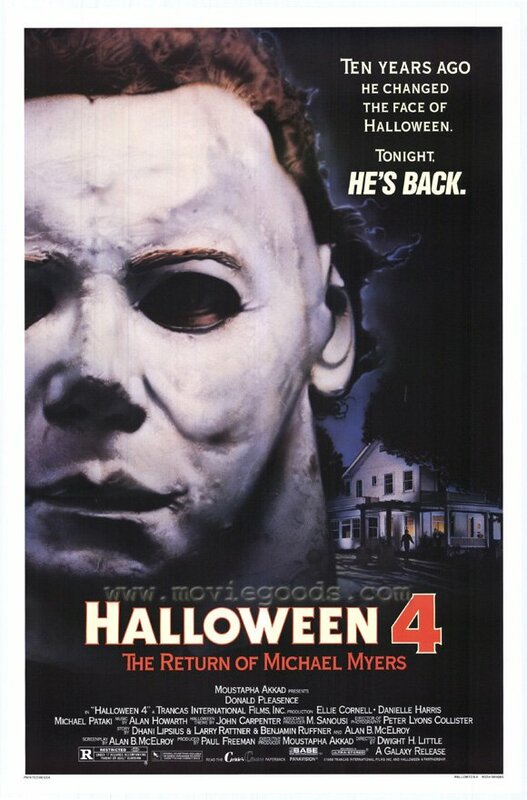 Veteran stuntman George P. Wilbur has the terror-ific distincition of being the only actor (to date) who's played Michael Myers twice - in 'Halloween 4: The Return of Muchael Myers' as well as 'Halloween 6: The Curse of Michael Myers' and even did some stunts in 'Halloween 5'. Mr. Wilbur has also been involved in numerous other horror movies - doing small parts and stunts in 'The Silence of the Lambs', 'Reanimator', 'Grizzly', 'Poltergeist' and 'Poltergeist II', 'A Nightmare on Elm Street: The Dream Child', 'Blacula' , 'Firestarter', 'Dr. Giggles', etc. - as well as great sci-fi projects like two of the 'Planet of the Apes' movies, 'Escape from New York', 'Mars Attacks', and 'The Wrath of Khan'. Plus he was even involved in my favorite all time movie 'The Poseidon Adventure' (The original of course...it's a guilty pleasure) as well as the sucky sequel 'Beyond the Poseidon Adventure' and even 'The Towering Inferno'. His career spans 40 years and started when he did some riding and stunt work in the 1966 John Wayne film 'El Dorado'. These days the 6' 2" George keeps busy hitting the convention circuit - and as the man who has played Michael Myers twice he's quite a draw among horror fans. He was also gracious enough to take a few moments to chat with me for this exclusive www.racksandrazors.com interview. George, can you start us off with a visual and describe the room where you are answering these questions? I'm in my office right now. There's a desk, computer, printer, and I'm surrounded by pictures from various movies I've been in. My favorite picture I have hanging is of me and the Duke, John Wayne. 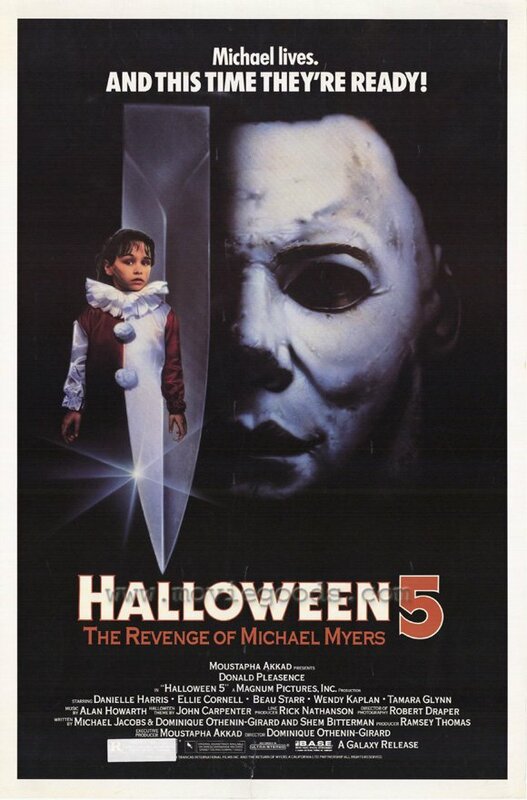 George, you were cast as Michael Myers in 'Halloween 4' (and subsequently 'Halloween 6') after years of working primarily as a stuntman. 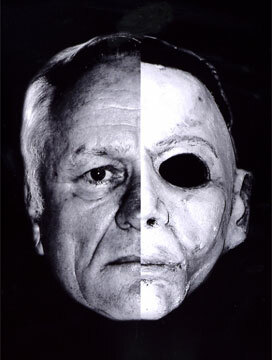 What about you convinced the powers that be that you would make the ideal Michael Myers? The producers were looking for a specific body type. I happened to be the right height and build so I fit the description. They knew what I could do as a stuntman since the stunt coordinator, who brought me in, was a good friend of mine. 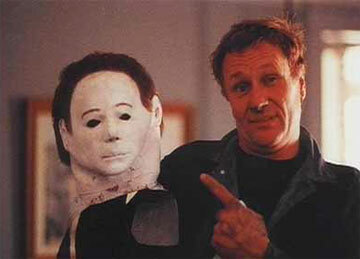 And what was the toughest bit of stuntwork you had to do as Michael Myers in those two Halloween films or as Michael Myers did you get your own stuntman? I do all my own stunts. LOL. 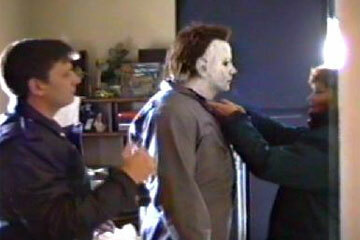 The most dangerous stunt I did in Halloween 4 was the ending truck sequence. There were lots of moving parts involved. I had to hang on the top of the truck, get thrown from the truck, and act on top of that. It was tricky and I had to be cautious in order to avoid an injury. The most dangerous stunts for me are when I have to depend on someone or something else that's beyond my control. I don't recall any too many tough stunts in 'Halloween 6'. Your stunt career spans 40 some years and in the horror realm alone you have worked on ''Poltergeist' and 'Poltergeist II', 'Halloween 5', 'A Nightmare on Elm Street: The Dream Child', 'Blacula', 'Grizzly', 'Dr. Giggles', 'The Silence of the Lambs', 'Firestarter', 'Reanimator', two of 'The Planet of the Apes' movies, and so many others. What has been the most dangerous stunt you have done to date? I've done a lot of dangerous stunts during my career. The one that comes to my head is the high fall down the elevator shaft in the movie 'Defenseless.' The space I was falling into was very confined. I did the fall in 3 takes and on the last take, I hit the camera and scrapped the side of it. In your long career what has been the most serious injury you have sustained? I was banged on the head and got a concussion while doing a stunt on the movie 'Lepke'. What stunt would you say is your best known bit of work? 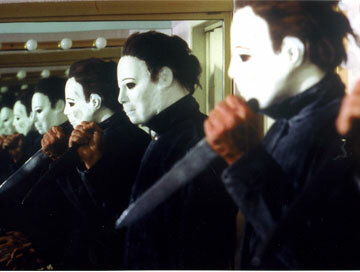 I wouldn't say that I'm known by one particular stunt, but I'm most known for playing Michael Myers. I am also a huge fan of disaster flicks and I've read that you did stunts for 'The Poseidon Adventure', 'The Towering Inferno', and 'Beyond the Poseidon Adventure'.? Did you do some specific stunt in the original 'Poseidon Adventure' that I'd remember? I did the Christmas tree sequence in the original 'Poseidon Adventure.' I was trying to climb up onto the next deck to get away from the flooding water. Gene Hackman was on the platform trying to get us off the tree, but when the tree fell backwards, I also fell into the ballroom full of water. How exactly did you become a stuntman? I guess John Wayne is the reason why I became a stuntman. After the Navy, I moved to Tucson, AZ to become a wrangler at a dude ranch. They were filming the movie 'El Dorado' nearby so I was went to the set and got a job as an extra and stand-in for John Wayne. Shortly afterwards, I moved to Los Angeles to pursue a career as a stuntman. In your opinion does the emergence of computer generated effects make the job of being a stuntman easier, more dangerous, or more endangered? Stunt work has become more specialized now because of computers. Those impossible stunts sometimes aren't so impossible with the help of green screens and computers. I think it has endangering stunt work but that's how the business is progressing. Is that an issue in the worker's union, The Stuntman's Association?? It's not really an issue since there's nothing stuntmen can do about it. Within the stunt community it may be a problem but we learn to cope with it. Do you have anything you are currently working on that you would like the www.racksandrazors.com readers to know about? I'm not working on anything these days, just spending time with my family. I mainly do appearances at convention when I'm invited. That's a good question, but I can't say that anything really scares me. I'm too old for that. LOL.